A bit of a quiet week again - hey, it's summer, don't expect games to come out! - but there's still one slice of JRPG awesomeness that America gets its mitts on this week,whilst Europe twiddles its thumbs and hopes for the best. But nonetheless, let's get our fusion on and talk gaming in this week's Tuesday Game Room! You see, I've become addicted... to taking screenshots in World of Warcraft. Last week I shared with you my newfound interest for snapping screens of Azeroth's natural beauty using the Hunter ability Eagle Eye, in two parts covering the Cities of the Alliance and the Cities of the Horde. But now Telsandre, my Night Elf Huntress, has made landfall on the shores of Pandaria... and I can't stop taking screenshots! Pandaria is easily the best levelling content Blizzard have added to the game, and gosh and golly it's also the prettiest. There are currently 255 screenshots in my WoW folders, and... 195 of them come from Pandaria content - and I've only done about half the content here! It's in Pandaria where the strength of Blizzard's artstyle shines brightest, and I'm having so much fun saving snapshots of it for desktop wallpaper fodder - even if it's distracting me from questing. Also you guys, the music is amaaaaziiiiiiiiing. There's not much out this week at all - perhaps an ideal time for the Steam Summer Sale, then! 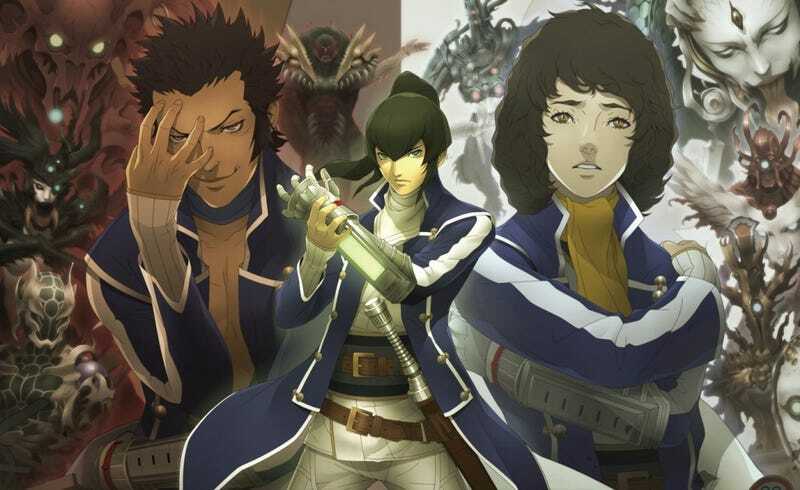 - but as I mentioned up top, there is the US release of the extremely long awaited Shin Megami Tensei IV, the 4th (duh) entry in Atlus' long running progenitor JRPG series that spawned the likes of Persona, Devil Summoner and Strange Journey. Be prepared to fuse ALL THE DEMONS. Oh, for fans of Lu Bu and ridiculous button mashery in ancient Japan, Dynasty Warriors 8 makes its way to retail, too. I imagine it's very similar to the Dynasty Warriors games before it... that's always been the thing for this series, right? They're like a universal constant. There's always a lighthouse, always a city, always a Lu Bu. The Martian Manhunter is your next Injustice character - ABOUT DAMN TIME. That said, I'm unsure how I feel about this growing trend where you buy a DLC season pass that ultimately doesn't cover all of a game's DLC. Are we really heading into a world of multiple season passes for one game becoming the norm? Deus Ex Mobile game disables gun use on jailbroken devices with no warning, outrage occurs - I imagine Eidos thought they were being clever in combating piracy this way, but considering that Jailbreaking is legally viable in the states, and this little trick - unadvertised on the game's page on the app store - meant that you couldn't even progress beyond the mandatory tutorial in the $7 game you've just bought... you can see how it got bad real fast. Square Enix have promised a fix soon though. Julie Larson-Green, Windows Honcho, becomes the new head of Xbox in Microsoft's company wide restructure - it feels like it's been a while since we've had a woman in a position like this in gaming, not since Cammie Dunaway at Nintendo a few years back, so hurrah for that. However Microsoft's radical restructuring - 'One Microsoft, All The Time' - means that Larson-Green (who unlike her predecessor, has no real background in the games industry, however she is a 20-year Microsoft vet) is actually in charge of all of Microsoft's hardware divisions, rather than being the sole curator of the Xbox team. It seems like an odd approach, and with the recent public apathy for her last two big Microsoft projects, Surface and Windows 8, Larson-Green perhaps has a lot to prove as we head into the Xbox One's uneasy launch. Summer of Hacking 2013 Continues: Konami's servers the latest hit - Man, first Blizzard earlier this year, then Ubisoft's uPlay service, then ARMA developer Bohemia, and now Konami's ID portal, predominantly used for Pro Evolution Soccer games, has been hacked, with a bunch of stolen user passwords. Change your passwords people, and be vigilant - this probably won't stop soon.